‘UFC on FOX 25: Weidman vs. Gastelum’ takes place Saturday inside NYCB LIVE in Uniondale, New York. UFC Fight Pass streams the first five preliminary bouts live starting at 4PM ET/1PM PT. Fox Sports 1 airs the remaining four prelims immediately after at 6PM ET/3PM PT. FOX will broadcast the main card beginning at 8PM ET/5PM PT. Former middleweight champion Chris Weidman looks to snap his three-fight losing skid when he meets Kelvin Gastelum in the show’s featured attraction. 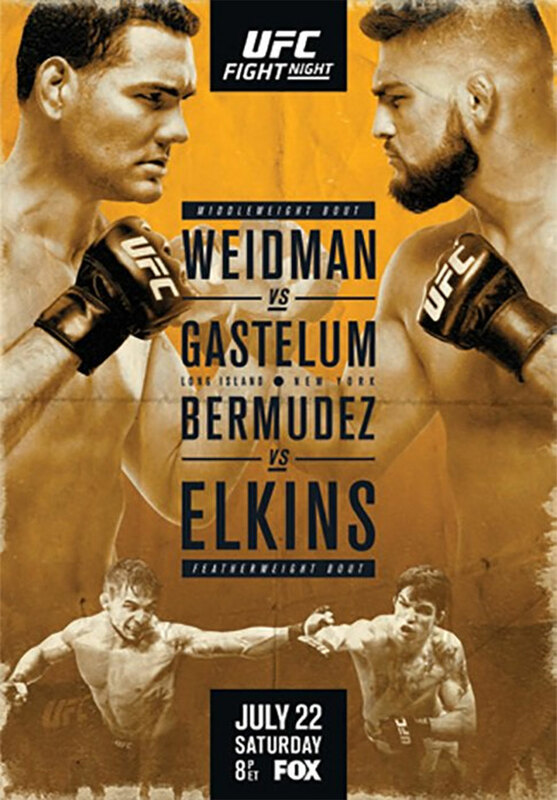 Featherweights Dennis Bermudez and Darren Elkins collide int he co-main event.